BRYAN EATON/Staff photo. 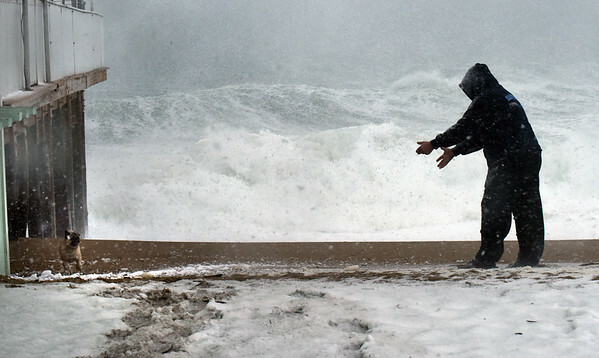 Greg Harden of Salisbury calls for his dog Oliver at Salisbury Beach as waves crash ashore at Salisbury Beach Center. The surf never made it over to Broadway during the high tide.